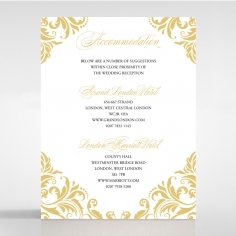 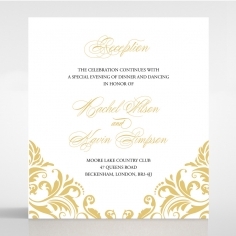 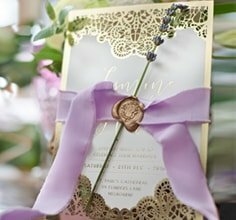 Achieve a timeless design for your wedding stationery by opting for this shimmering pocket styled invitation. 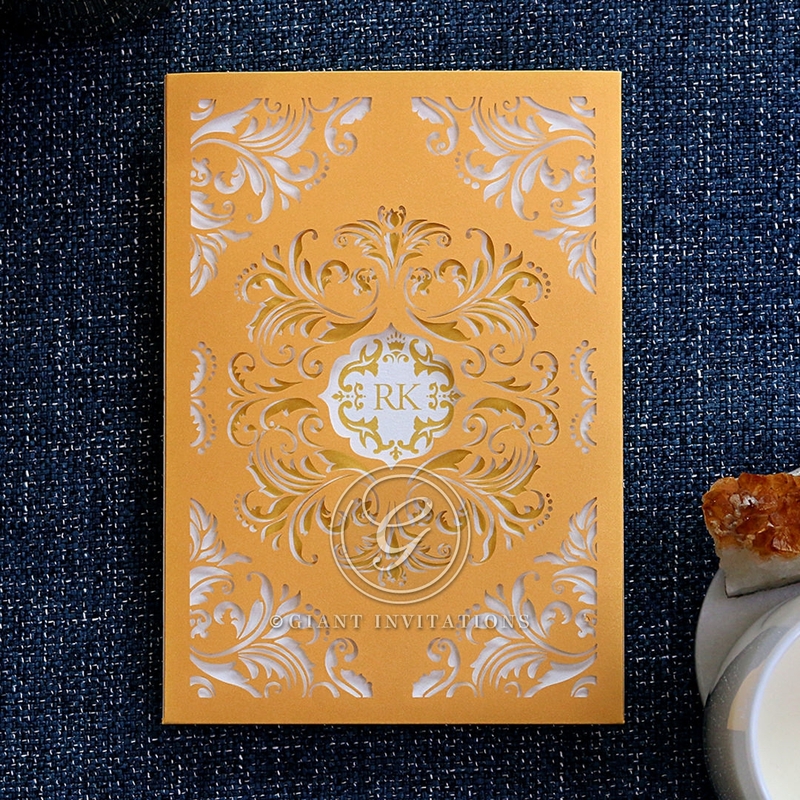 The opulent baroque patterns are the pure epitome of class and elegance that are not only visible on the pocket, but the inner card as well. 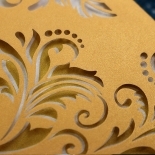 Crafted using only the best and premium pearl card stock, the elaborate patterns are laser cut onto the pocket for a precise and luxurious appeal. 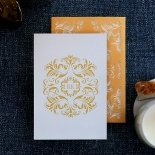 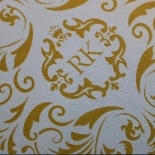 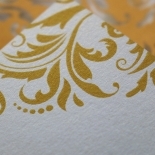 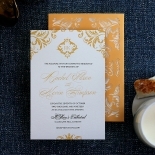 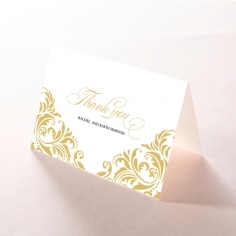 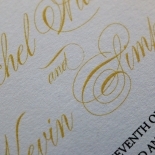 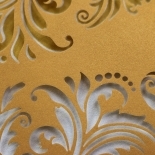 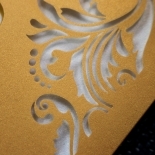 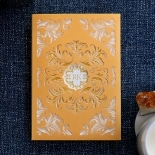 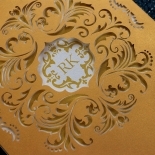 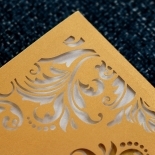 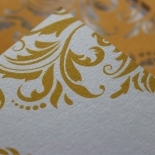 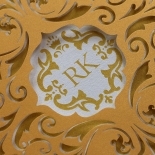 An ivory invite card sits inside with the exact patterns exquisitely digitally printed, peeking through the laser cut design. 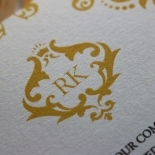 A customisable emblem heightens the overall opulence of this design. 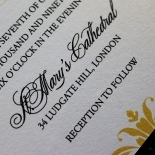 The wording, font style and layout on the insert are completely customisable to suit your theme and personality. 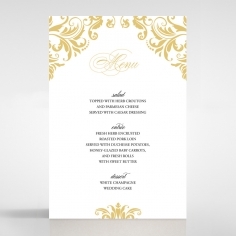 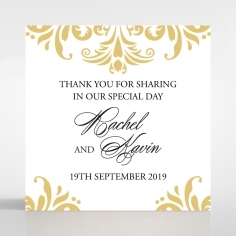 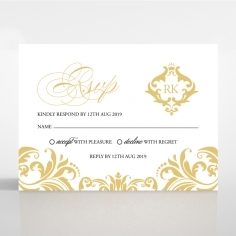 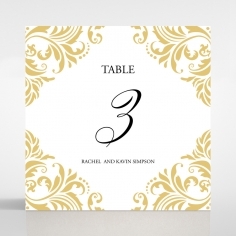 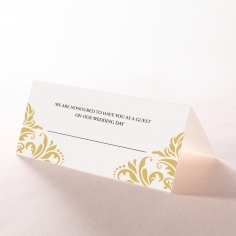 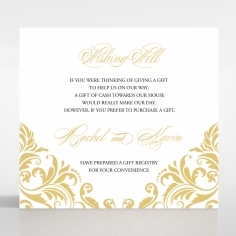 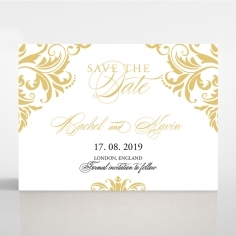 Matching accessory cards are also available and additional, while complimentary envelopes with foil seal stickers are included with the invitation.